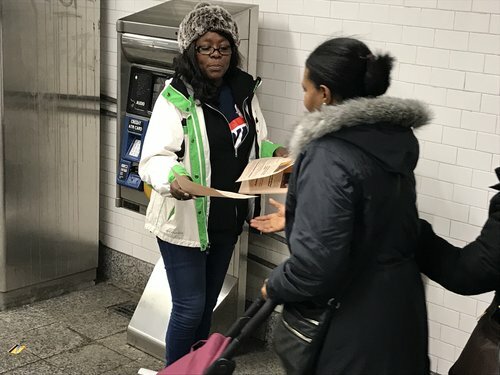 Transport Workers Union Local 100 is fighting MTA plans to remove elevator operators from five subway stations in Washington Heights. 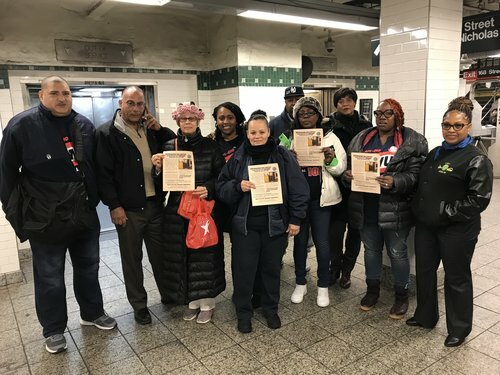 Local 100 officers and members on Monday began distributing leaflets to riders urging they call the Metropolitan Transportation Authority and demand the elevators remain staffed. 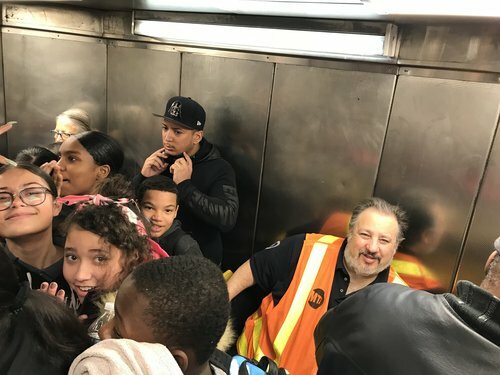 The MTA’s preliminary 2019 budget calls for the elimination of elevator operators at 168th St., 181stSt. and 190thSt. on the A line, and 181stSt. and 191stSt. on the No. 1 line. Each station has at least one staffed elevator around the clock in addition to unstaffed elevators. The budget will be voted on in December. These are unique “deep-cavern” stations. The 191st. St. is 180 feet below street level and is the deepest in the system. The men and women operating the elevators are cleaners on restricted duty because of injuries or medical conditions rendering them unable to do their regular cleaning duties work. While the MTA plans on vacating these posts in early January, the elevator operators are not being laid off. The MTA has proposed other duties for them. Local 100 also is objecting to those reassignments because they are too taxing physically for those on restricted duty. Photos show Local 100 reps and affected members protesting at 168th Street, CTA Wes Ventimiglia manning a staffed elevator at that station, and Stations officer Regina Herring passing out flyers to passers-by.